UPDATE: We have published an updated (2014) version of this article here. The credit card question comes up a lot. “Can we accept credit cards with Digital PTO?” and the answer is YES. Absolutely! “What about fee’s?” is always the next question. And the answer is.. well… complicated. First things first, you will always be paying a fee if you want to accept credit cards or money electronically. It’s a fact and something that needs to be understood as truth. The only way to not pay a fee is to accept cash or checks only. If you take this into consideration though when you establish your pricing, it can be as simple as raising your prices by 5% and you’re covered. Or you can take the approach that the fee’s are a part of the expenses for the year and add a new line item to the budget. It’s up to you. There are a number of ways to accept credit card and electronic payments with your PTA or PTO. In this article I will be covering Paypal Standard Payments, Paypal Pro Payments, Digital PTO Merchant Accounts and the brand new Square application for iphones, ipads and android phones. Before I go into the comparisons and findings I want to explain a few things about each of these payment options as they are all very unique and have different capabilities and features. Only two of the options are true online credit card acceptance options for your PTA, Paypal Payments Pro and the Digital PTO Merchant Accounts. I have included the other options in all of these comparisons though as I do feel that they are both viable payment options in some capacity. Paypal has been around for a long time now and has established itself as the leader in small payments made to businesses and individuals online. They offer two variations of service, Payments Standard and Payments Pro. 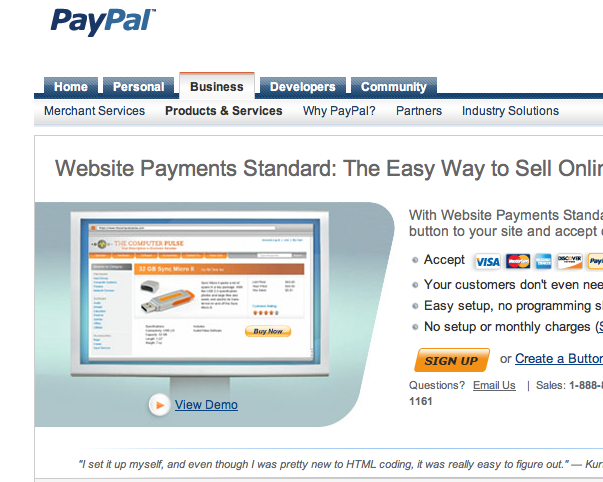 Paypal Standard Payments is the traditional PayPal. 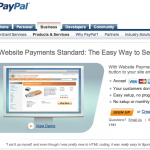 Customers are sent to the Paypal.com website to make payment and while they can technically make a payment via credit card to your PTA, it is an experience that makes customers think they need to sign up for paypal to complete the purchase. The huge benefit to Paypal Standard Payments is that it is the only option that allows for payments online without any sort of monthly fee. The huge downside to Paypal Standard Payments is that is is not nearly as easy to make a payment as it is with a traditional credit card form. 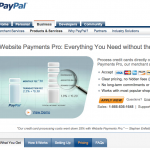 Paypal also offers their Payments Pro service which is essentially a merchant account (the ability to accept credit cards) and a paypal payments account rolled into one. At first glance it is a fantastic and simple option, but upon deeper digging it is by far the most expensive way for your PTA to accept credit cards I could find. 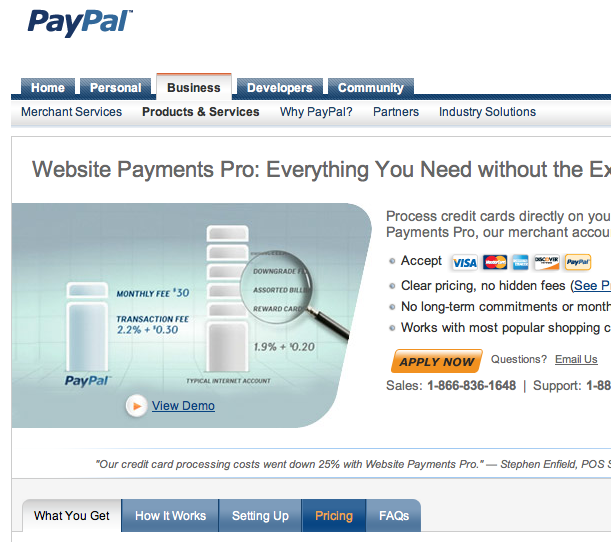 The benefit to Paypal Payments Pro is that it acts like a traditional merchant account and can accept credit cards right on your own website without having to visit the paypal.com website. The downside is that it is extremely expensive to use with both a high percentage rate as well as a high monthly fee. The benefit to a Digital PTO Merchant Account is that it is extremely flexible and easy to use. Additionally it is by far the cheapest overall option for schools charging more than $15,000 annually. It is also the cheapest option to fully accept credit cards online whether you process $500 in charges or $500,000 each year. The downside is that there is a monthly fee to have the service. If you haven’t heard about Square yet, you will. We’ve been getting a lot of questions about Square so I thought I would include it in this article as an alternative. 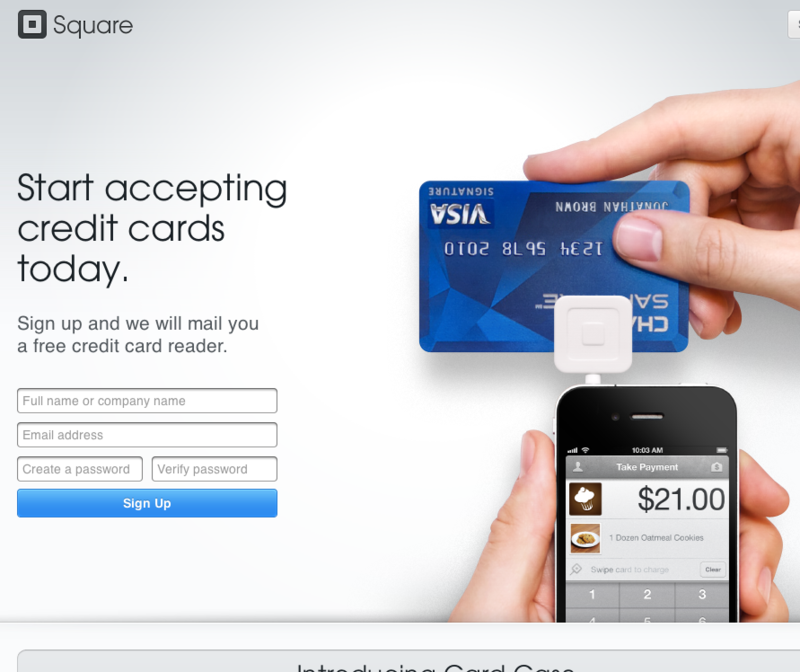 The most important thing to know about Square is that is does NOT allow you to accept online payments on any kind. 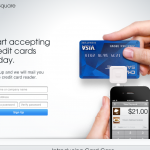 Square turns your phone into a credit card terminal. You may be asking yourself why I’m including this in my path to explaining how to accept credit cards as a PTA, well, this particular option will not allow for online payments, but Square will still offer the ability to accept credit cards at your next PTA event. Square works on iphones, ipads and android phones. You attach a small card reader to the headphone jack on your phone and it is up and running in no time. It’s quite amazing technology. The benefit to Square is its’ ease of use and the fact that there is not a monthly fee of any kind. The downside to Square is that it does not integrate with your website and if you manually type a card in (which would be common with PTA receiving completed credit card forms for payment) the fee’s are much more expensive and include a per transaction fee. If you want to accept Paypal as your only payment option, Paypal Payments Standard is the cheapest way to accept money online if your PTA processes less than $15,000 annually. 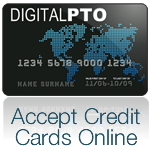 If your PTA processes more than $15,000 annually, a Digital PTO merchant account is the most economical option. If you want to accept offline credit card payments Square is a great option for processing less than $15,000 annually. Again though, with Square you can ONLY accept offline payments. Paypay Payments Pro turned out to have no shining moment and we would not suggest using the service, purely because it is so expensive compared to other options. Here are a few numbers to show you the rates. Below I have outlined how the four services compare based on differing annual income. Each figure is based on an average sale of $45 and is also based on a 12 month year (if a monthly fee is involved). These numbers are estimates and should be verified with current rates just in case. All numbers are annual total fee’s. Hopefully we were able to help. I know it’s confusing and hard to select a credit card processing option for your PTA or PTO, but I hope this helped explain the options a little bit for you. We would love to hear your feedback and additional comments below. «Wrapping up the Digital PTO National Tour with a bang in Chicago!